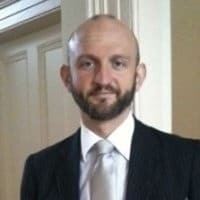 Chris Connollyleads Mondato’s media efforts and provides research and analysis to support its reputation as a thought leader, as well as assisting Mondato’s work in the field of MFS regulation. He is a graduate of Cambridge University and holds a PhD from the London School of Economics and a Graduate Diploma in Law from City University in London. He is a specialist on East Asia, MFS regulation and social media. The Mondato Summit Asia explored the latest concepts and use cases in the mobile finance and commerce (MFC) ecosystem in the region. This post highlights 10 key takeaways from the conversation, as panelists and participants discussed whether Asia was on the cusp of "MFC 2.0." The mobile finance and commerce (MFC) ecosystem in the Philippines and across emerging Asia has grown to the point where it is on the verge of producing “MFC 2.0,” and leading the world in innovation. Mondato Summit Asia will bring together thought leaders and practitioners in Manila on Oct. 20-21 to discuss what the future of MFC is likely to look like in this region and beyond. Though the member countries in the West African Economic and Monetary Union share one currency and one central bank, their mobile money ecosystems differ greatly. However, interoperability will likely be integrated across most of these countries in the not too distant future. Could its new regulatory regimes and developing ecosystems help the region take its place alongside the mobile money sprinters of East Africa? Africa is ground zero of the mobile money revolution, a rapidly developing and exciting – but often chaotic and confusing – space. Last week, some of the top names in the industry gathered in Johannesburg at the Mondato Summit Africa to bring some clarity to its present and future. We’ve put together 10 key takeaways from the event. Trust is one of the key factors that will ultimately determine the success or failure of mobile payments. That’s why recent headlines about fraud in prominent mobile money platforms, from Apple Pay to MTN Money in Uganda, have raised eyebrows in the industry. Mondato’s Chris Connolly discusses these cases, and finds that the headlines don’t tell the whole story. Finding the right incentives for merchants to accept digital and mobile payments is a task that many have attempted and few have achieved. But according to Mondato, after flying under the mobile finance radar for a long time, India could be the country that does it. Chris Connolly highlights three ingredients that could make India the next digital finance hotspot. According an estimate from Gartner, by 2018 nine out of ten phones will be smartphones. If this comes to pass, it may require a substantial rethink about the delivery of mobile financial services to consumers in developing markets, where up until now the feature phone has dominated. As the explosive growth of mobile financial services (MFS) reshapes economies around the world, the Mondato Summit Asia brought an impressive line-up of speakers and panelists from all parts of the ecosystem to explore the next generation of MFS in Southeast Asia. Chris Connolly delivers some highlights - and tweets - from the recent conference.